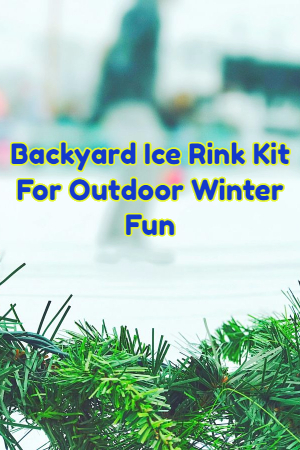 Best Winter Fun Ever with a Backyard Ice Rink Kit. If you are like me, you dread the winter months because you have to hunker down for what seems like forever until the first hints of spring roll around. Yes, the kids love snow days but my days of loving them as much as they do unfortunately are long gone. At least, they were until I discovered the best way to have fun outdoors in winter. Not only will the kids have fun, you will too. Get a backyard ice rink kit and in no time at all you have a yard that all the kids and their parents will envy. I didn’t believe it would cost anything less than a small fortune, but not only is it relatively affordable you can take the item home in a box. The average size is about 20 by 40 feet. That’s plenty of room to have fun in any backyard. You can get plenty of help from the maker when installing it, too. They let you know if you need any other accessories or components to make it sturdy and safe for everyone to enjoy. It costs a few hundred dollars, but it is so worth it to make winter bearable!